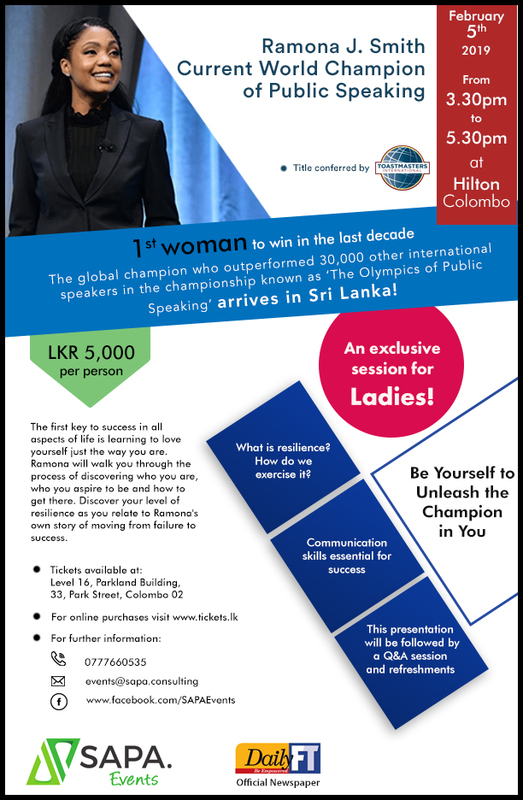 Current World Champion of Public Speaking will be here in Colombo for exclusive training sessions. World Champion of Public Speaking Ramona J Smith kicks off her visit to Sri Lanka with a session for sales and marketing professionals in the corporate and hospitality sector. This presentation is all about how to seal the deal and ensure a positive customer experience. Ramona J Smith is dedicating a session to the women of Sri Lanka. Hear her inspirational story of self love and resilience. Her message? Be yourself to unleash the champion in you.